Isra and Mi'raj were the Night Journeys believed to be undertaken by Prophet Muhammad (PBUH) on 27th Rajab (before Migration). The First Part of the Journey is known as Isra, during which the Prophet Muhammad (PBUH) traveled from Masjid Al Haram, Makkah to Masjid Al Aqsa, Jerusalem. Various Traditions narrate the details of the journey: The Archangel Jibrael (AS) descended to Prophet (PBUH) who was asleep in the Hateem (structure by the Kabah). It is believed that Jibrael (AS) opened the chest of The Prophet and washed his heart in a bowl of wisdom, knowledge and faith. 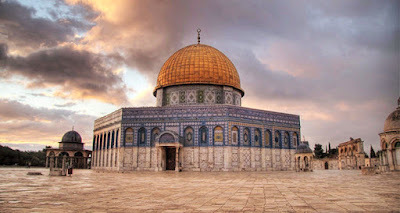 The Prophet (PBUH) the traveled to Masjid Al Aqsa on Buraaq in the same night in a split of a second. This Part of Journey is known as Isra. The second part of the night journey is known as M'iraj. Various Traditions relate that the Prophet Muhammad (PBUH) ascended the Heavens on Buraaq (Heavenly horse) and that is where Allah ordained the five daily prayers to the Prophet (PBUH) by speaking to Him directly. It is believed that after returning to Masjid Al Aqsa, Prophet Muhammad (PBUH) led all the Prophets (AS) in Salah. 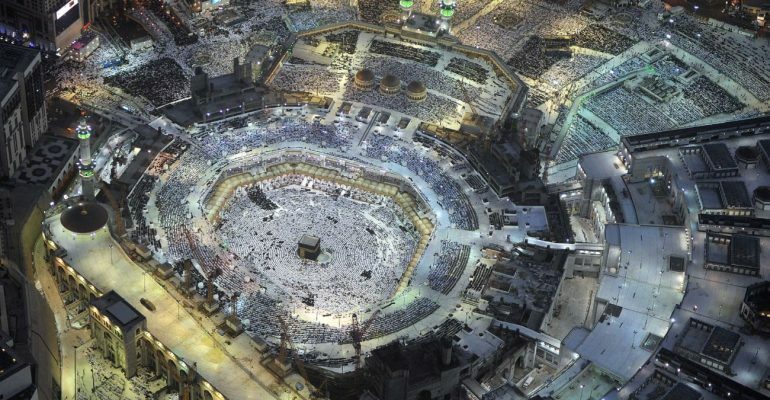 The Night of Isra and Miraj hold a very significance in a Muslim's life. It teaches us Muslims the immense Love that Allah has for Prophet Muhammad (PBUH) which in turn increases the love for the Prophet by the Muslims. This Night also marks the beginning of the five obligatory prayers. Muslims today celebrate this night in different ways, in the Middle East Muslims spend the day the remembering the Night, telling stories to children. Imams speak and explain the Night to believers . However in South and East Asia people stay awake making supplications and performing voluntary Prayers and fast the 27th of Rajab.